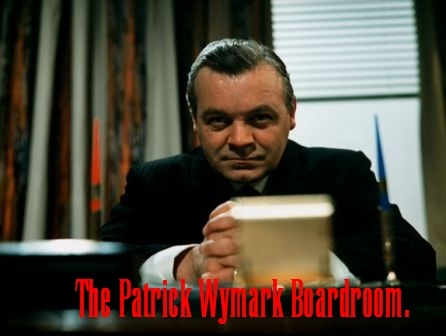 Patrick Wymark – a 1960’s TV star as John Wilder, the board-room manipulator of The Plane Makers and The Power Game. "An actor of considerable genial humanity and imagination". Born Patrick Carl Cheeseman in Cleethorpes, he adopted his wife's family name of Wymark before joining the Royal Shakespeare Company. During the 1960's he appeared non-stop in stage productions, TV plays and movies such as The Skull , Blood on Satan's Claw, Cromwell and the Battle of Britain.